I am in love with Pudding Cookie Recipes! Have you ever made pudding cookies? They’re just a basic cookie recipe, but you add a box of instant pudding to the cookie dough. Not only does this add flavor to the cookies, but it also makes them super soft on the inside and they stay soft for days. I’d never heard of pudding cookies before I became a blogger, but in the years since I’ve made so many different versions. The basic vanilla pudding cookies are perfect with chocolate chips and make the best ever chocolate chip cookies. I love a soft chocolate chip cookie that’s a bit crunchy on the edges and that is exactly what the pudding cookie creates. 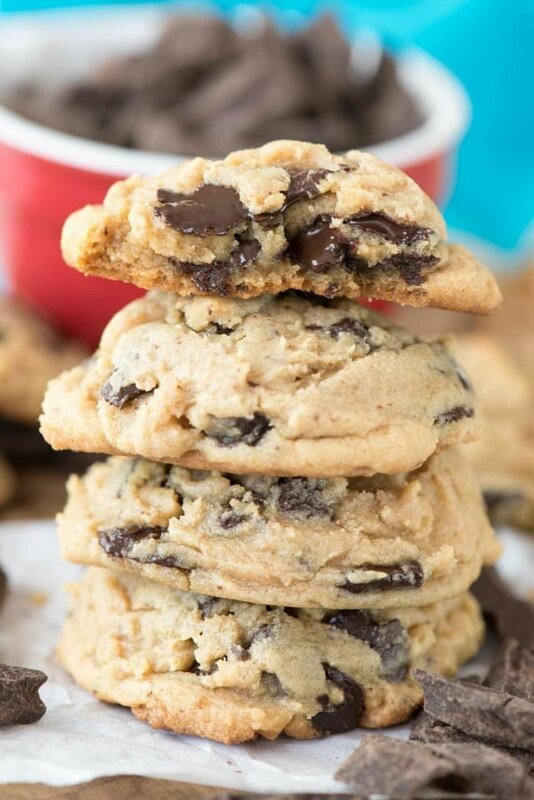 Pudding cookies are my favorite chocolate chip cookies and I rarely make any other version! Basic vanilla pudding is only where the pudding cookie recipe creativity starts, however. 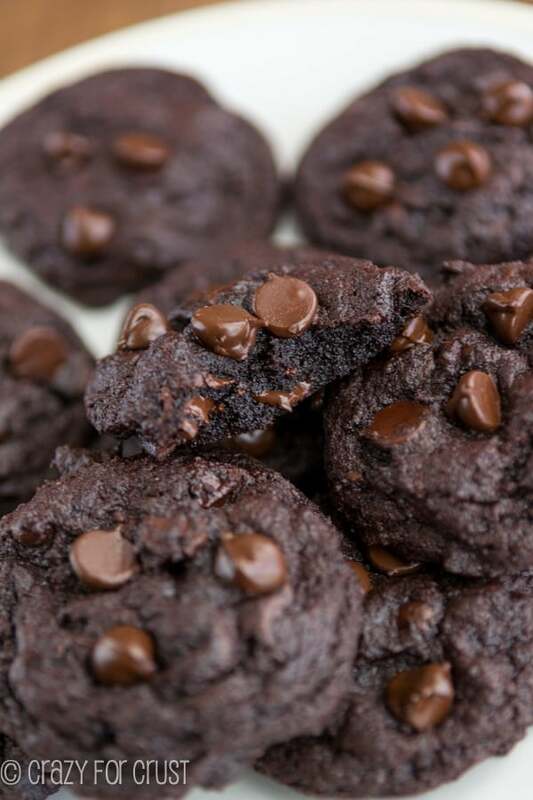 You can use ANY flavor of instant pudding mix to create a new cookie flavor! From cheesecake to lemon to chocolate to create a new cookie recipe. 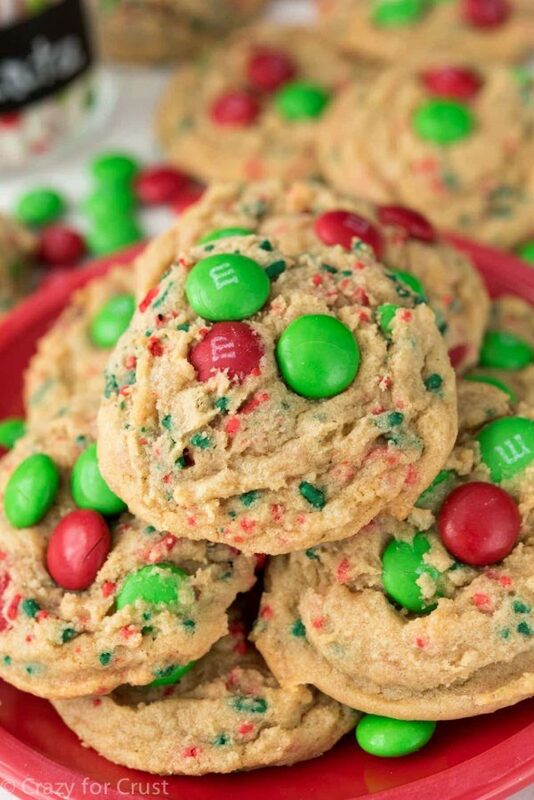 Or change up what you add into the cookie: chocolate chips, M&Ms, sprinkles, nuts, candy…thy sky is the limit. I think there are probably over a million pudding cookie recipes out there to be made…I’ve just started on my quest to try them all. The best cookie is a pudding cookie recipe; they are full of flavor and are soft on the inside and stay soft for days.